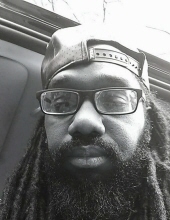 Mr. Charles Lamarsh Simpson, 32, of Stone Mountain passed away on Saturday, February 2, 2019. Celebration of Life service will be held on Saturday February 16, 2019, 2 p.m. in the chapel of F.L. Sims Funeral Home, East Point 2968 East Point St. East Point. F.L. Sims Funeral Home, Decatur is entrusted. To send flowers or a remembrance gift to the family of Charles Lamarsh Simpson, please visit our Tribute Store. "Email Address" would like to share the life celebration of Charles Lamarsh Simpson. Click on the "link" to go to share a favorite memory or leave a condolence message for the family.